I’m not really a big make-up person, some tinted moisturiser is about as much as I can manage on a daily basis, but I do spend a fortune on various moisturising creams. My skin is quite dry, especially my lips and hands. I’ve always loved Elizabeth Arden 8 hour cream, but to be honest I am not overly fond of the scent, so I was very excited to discover the new fragrance free version. 8 hour cream is great for soothing, protecting and moisturising skin all at the same time, I wouldn’t be without it. Little S has had quite sore lips recently from licking them too much, so I’ve even used it on her. My hands have been especially bad recently due to school runs in the cold and because I wash my hands a lot after changing nappies and washing up. The 8 hour cream has been amazing for soothing them, especially when used overnight. 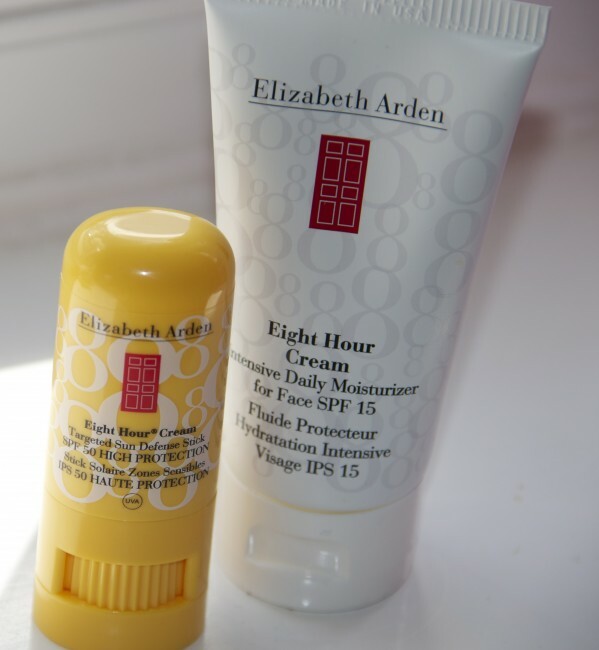 Elizabeth Arden also very kindly sent me their 8 Hour Cream Daily Moisturiser with SPF. I have to be very careful in the sun so this is perfect for me. It rubs in brilliantly leaving my skin feeling very soft and hydrated, I love it. The Targeted Sun Defence Stick is designed for use on over exposed areas such as the nose and ear lobes. It is very easy to apply, and leaves skin feeling moisturised but not greasy. I’ve been using it on Z before he goes to school so I know he is protected all day. He always moans a lot when I apply sun cream to his face, but doesn’t seem to mind the stick. The stick is very compact so perfect to keep in a bag and carry around with you. I’ve used a lot of different moisturisers over the years, but these are most definitely one of my favourites, I would recommend them to everyone especially if you suffer from patches of dry skin. 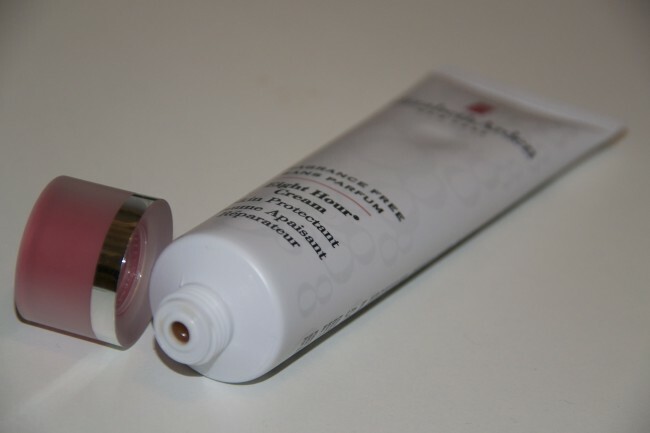 8 Hour Cream can also be used on minor burns, scrapes and abrasions. 8 Hour Cream have a Facebook page here should you wish to like them. I received the creams above to review. All words and opinions are my own. Thanks for the comp, mine is Elizabeth Arden colour intrigue eyeliner. mummy on the edge recently posted..c25k anyone?? I don’t have a favourite Elizabeth Arden product (never been able to afford it *sad face) but winning this could change all that. I have or do most of the things on that Rafflecopter tells me too…. I used to love the sunflowers perfume! I like the perfume “Green Tea” by E. Arden. I love the Eight hour cream, just amazing! I like the sound of this cream. Like you, I have very dry skin and use moisturiser regularly, and have given up using skin-clogging foundations. Have just left comment. Where has it gone? I love 8 hour cream – it is essential when I’m standing on the touchline supporting my son’s rugby. It makes a real difference when you get back in the car and see how moist and smooth your skin still is. My skin is very dry so I would love to win this and be able to pamper my skin! I love the 8hr cream when I can afford it..
Not really tried many Elizabeth Arden products, would love to try the 8hr cream as I have very sensitive eczema prone skin. Think I may have used a mascara when I was in my early 20s but thats about it for me. i have to admit, ive never tried Elizabeth arden products before, but i would love to. 8 hour cream for me! its got to be the 8 hour cream!